BATHORY were an extreme metal group formed in Vällingby, Sweden, in 1983 named after Hungarian Countess Elizabeth Báthory. The band's frontman and main songwriter was Quorthon (Tomas Forsberg). 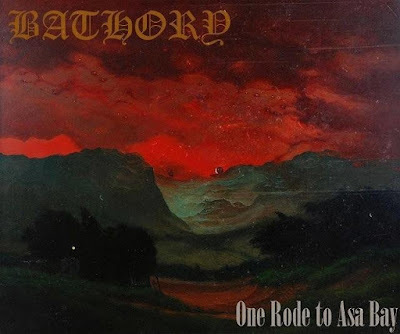 Considered to be one of the most influential acts in heavy metal, BATHORYs first four albums are considered to be "the blueprint for Scandinavian black metal". The band departed from this style on their fifth album, "Hammerheart" (1990), which is often cited as the first Viking metal album. BATHORY continued in the Viking metal style throughout the 1990s and early 2000s, although the band experimented with thrash metal on the albums "Requiem" (1994) and "Octagon" (1995). BATHORY ended when Quorthon died from heart failure in 2004. The music video was filmed in a suburb of Stockholm to complement the story idea of the song. The video contains scenes of the band performing and a back story of settlers bringing a new religion to the land. 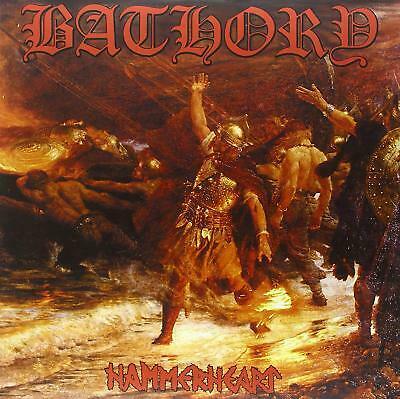 BATHORY guitarist and vocalist, Quorthon, paid $5,000 to film the music video. Quorthon explained, "I have never seen it and I didn't get to see any of the 60 hours of film we had worked on for several weeks." He elaborated, "the guy who was responsible for the whole filming just went on holiday once the last shot was made and he was unheard from and impossible to reach." After several months later "he eventually did send us something", but it was 18 minutes of the 60 hours that were filmed. Meanwhile, it was assumed "the rest of the material is probably erased" and the final product was to remain the edited video that did not represent Quorthon's song idea. Ultimately, it became the first and last video BATHORY would make. Even so, the video received play of MTV's Headbangers Ball, which got Quorthon interviewed on MTV and introduced the band to American audiences. The video had only been available as a bootleg until 2006, when Black Mark Records released a tribute to Quorthon which contains a DVD with Quorthon footage and the video itself. Listen to ”Bathory - One Rode To Asa Bay" on Spotify!